A new boiler can save you hundreds in energy costs every year. Unfortunately, with high upfront costs, the Energy Savings Trust estimates that more than 2.5 million people in the UK can’t actually afford to replace their old boilers. Thanks to the ECO Affordable Warmth Obligation and other grants, qualifying homeowners in the UK can receive boiler grants and subsidies. With the average price of a boiler installation running at £2,300 including all costs, many lower income families simply cannot afford to install a new boiler on their own. However, while the best boilers are pricey to install, they do pay off. If you have an older, non-condensing boiler, you could save £122 -350 per year on energy costs alone. How? New condensing boilers are 88% efficient or more, and a boiler that is 15 years old could be as low as 54% efficient. That means that your boiler could be losing almost 50% of the energy you put into it. That’s why the UK government and some energy companies are working to help homeowners upgrade their boilers, replace inefficient models, and reduce fuel poverty. There are multiple renewable energy subsidies and boiler grants available to residents in the UK who need help installing a new boiler. The Energy Company Obligation or Affordable Warmth Obligation is a government obligation and boiler grant. Under the obligation, you may qualify for a free boiler or a heavily subsidised boiler, providing you meet the qualifications. This boiler grant is designed to help the UK meet the carbon reduction targets set by the EU, and the Energy Company Obligation ensures that top energy suppliers spend money to help you to install cleaner energy sources if you can’t afford to do so yourself. This is funded by a tax on your energy bill (ECO, the Green Tax), which is collected by energy companies and used to directly fund installations. So, you and other homeowners have already paid for this grant. If you are in a low-earning household or already receive certain benefits, you will likely qualify for a new boiler. If you want to apply to the ECO Affordable Warmth Obligation boiler grant, you must meet the conditions. The first condition is that you must either own your home or rent and already have permission from the owner for the work. Your boiler must also be 8 or more years old to qualify for free replacement. your child is disabled, you get a Disabled Child Premium, or a Disabled Premium. Universal Credit and you earn less than £1,250 after tax in each assessment period in the last 12 months, you get a limited capability for work or work-related activity element, or you get a Disability Living Allowance or Personal Independence Payment. You won’t qualify if you are a council tenant or live in a housing association property as they will arrange their own schemes. If you qualify, you can apply via your local Energy Savings Trust. The Energy Company Obligation was originally set to close on March 31st, 2017. However, the program has been re-launched for 2018-2020. Unfortunately, the relaunch does mean bad news for boiler grants. The new scheme limits boiler replacements to 25,000 per year as the ECO Affordable Warmth Obligation attempts to shift its attention to insulation. Therefore, you are strongly advised to apply early if you want to qualify for a free replacement boiler. Residents of Northern Ireland can rely on the Northern Ireland Sustainable Energy Programme instead of the ECO scheme. NISEP offers grants of up to £1,200 towards gas boilers and up to £1,500 towards electric heating replacement or upgrades. You can apply by visiting the Utility Regulator for a current list of providers. NISEP was initially set to end March 31st, 2017, but has been extended to March 31st, 2018. Unfortunately, this programme is in the process of winding down, and most grants are now in the £250 range, or may include a hot water jacket to add additional thermal insulation to your boiler. If you own an old gas-fired boiler, you could be eligible for up to £400 towards the cost of installing a new boiler. The Energy Savings Trust is offering the scrappage scheme for boilers that are working, gas fired, and G Rated or worse – which applies to almost all models that are 15 years or older, and almost all models featuring non-extinguishing pilot lights. You must also own the property you are living in to qualify. If you’re over 60, you can exchange a non-working boiler for up to £400. If your application is approved, you will receive a voucher valid for up to £400 in 10 days. You have 12 weeks to complete the work after receiving your voucher. Beginning the work before receiving the voucher will invalidate it. Once the work is completed, you can return the voucher and the invoice for the completed work to the Energy Savings Trust and they will refund the amount on your voucher within 25 days of receipt of the voucher. Importantly, your new boiler needs to be at least A rated to qualify. While you will still likely pay around £2,000 out of pocket including installation cost, you will save money in other ways. For example, the Energy Savings Trust estimates that you will save £122 per year by replacing a G rated boiler with an A rated one. You also must consider installation costs, which can be pricey as well. If you estimate that an A+++ boiler will cost £2,300 total, it will take you 5-7 years to pay off with the scrappage scheme if you’re replacing an old G rated boiler. If you choose to install a biomass boiler, heat pump, or solar heat, you qualify for the Renewable Heat Incentive (RHI), which means that you can get money back for each kWh of energy generated. However, these heat sources typically cost more upfront, and may not function in the same way as a boiler. OFGEM estimates that most homeowners see an average pay-out of £337 per year for biomass boilers, £171 for thermal solar panels, £601 for air source heat pumps, and £1,546 for ground-source heat pumps. RHI payments increased in spring of 2017, so you can now get a higher pay-out if you choose to install renewable heating. If you choose to install renewable heating, you may qualify for a Green Deal Grant, which will subsidise the cost of your installation. Green Deal exists to incentivize the installation of low-carbon emission heating and energy, meaning that they reward you for lowering your carbon footprint. However, rates and assistance vary depending on your home, the energy rating for your home, your income, and other factors. You can use the free calculator to determine if you qualify. Unfortunately, the Green Deal has stopped funding Green Deal providers. However, you may still be able to qualify through specific Green Deal Providers who either stiff have funding or offer funding for specific types of homeowners. While there are very few boiler grants available in the UK, you can still try to get a good deal or even assistance on your boiler replacement or installation. In some cases, boiler installation companies will offer free replacement boilers as part of an energy efficiency program. For example, British Gas installed nearly 20,000 free boilers in 2016 as part of an energy efficiency scheme. Unfortunately, these come and go and may only be open for a short period. Your housing association may be responsible for replacing your boiler if your old one is broken. However, it is up to them whether they choose to make a repair or to replace the boiler. Council tenants can access local council schemes designed to replace broken heating. Bring proof of your boiler being broken or extremely inefficient to your council to request replacement or repair. If you don’t qualify for a free boiler, you can likely get a payment plan from your installer, rent, or otherwise greatly reduce the amount you pay per month. In most cases, you can arrange this directly with your installer, and create a payment plan that works for both parties. If you’re looking for a boiler grant, you likely have a lot of questions. This Boiler Grant FAQ answers our most frequently asked questions. Can I get a boiler grant if I live in a flat? – Yes, providing it is privately owned and you have permission. 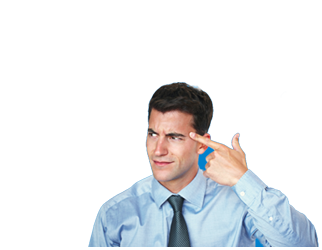 Can I get a boiler grant if I rent my home – Usually yes, although it should be privately owned. If you are a tenant, it is important that you have written permission from your landlord before applying for a boiler grant. Contract the installer and have them install your new boiler within 12 weeks. The work must be completed and the voucher returned within 12 weeks of receiving the voucher, so try to handle everything as soon as you receive the boiler. Wait 25 days to receive your refund. In some cases, the Energy Savings Trust may ask to review your income, your home, and the energy efficiency of your home. In this case, you may have to wait for someone to survey your home. How long does the survey take? – In most cases, a survey should only take about 30 minutes. Why do energy companies pay for free boilers? – The ECO tax is set aside by energy companies to provide funds for boiler grants. This allows them to meet carbon reduction targets by offering grants and incentives, allowing them to avoid fines. What costs should I be aware of? – Your boiler may not be completely free, especially if you earn more than the minimum income. However, you can often get a heavily subsidised boiler, even if you don’t qualify for a free grant. Does boiler replacement include fixtures? 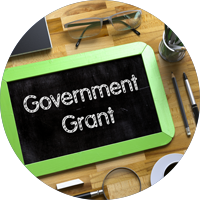 – When new fixtures and controls are necessary to save heat and energy, the boiler grant will typically include them. Otherwise, you will pay these costs out of pocket. Do I have to go through my current provider? – No. There is no obligation or incentive to use your current energy provider. How long does it take to get a grant? – In most cases, you can have a new boiler in as little as 3 weeks. The application process typically takes 10 days, after which your boiler will typically be installed within 2 weeks of the surveyor visiting your home. While over 2.5 million households in the UK qualify for boiler grants, not everyone does. If you don’t qualify for a free or heavily subsidised boiler, you can still work to greatly reduce costs by taking the time to research, compare your options, and getting a good idea of what you want and need before contacting an installer. Compare Your Options – Boiler installation is a highly competitive industry, meaning that you can often get greatly discounted rates by simply comparing your options. 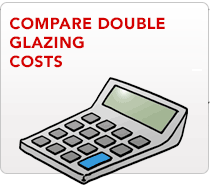 Just comparing quotes from 3 or more installers can save you on installation costs. Know What You’re Buying – It’s important to buy for quality rather than affordability. Choosing a quality boiler with a 5-10-year warranty will ensure that your boiler lasts long enough to pay itself off, so that you benefit from your new boiler even if you have to pay for it yourself. Do Your Research – Managing your research in advance so that you know what you need and what you’re looking for can help you to negotiate a better price with your installation. Installing a new boiler can save you hundreds every year on your energy bills, especially if your current boiler is older than 15 years. If your current boiler is G-rated, you could be losing 45 pence for every £1 of energy you put into it. Replacing your old boiler will most likely save you money. However, it is important that you check to see if you qualify for subsidies, boiler grants, or to see if you can reduce the cost of installing a boiler yourself. If you’re ready to start looking for a new boiler, use our free comparison tool to find and compare the top three installers in your area. We use your information to request direct competitive quotes, which can save you up to 47% on the cost of installation. Boiler Guide How Much Does a New Boiler Cost in 2019? What’s the Best Boiler in 2019?